Having a successful real estate career is not easy. Taking the classes and getting licensed is the easy part but to truly be a success takes training. A Realtor® who does not have good onboarding training as well as continued one-on-one training throughout their first year, likely will not survive. The statistics are staggering but 90% of new real estate agents are out of the business within the first two years because they are not trained. Training on the systems needed to run a successful real estate business is the first step. A Realtor® needs to know how to write a contract, create a market analysis and market a property in order to be a successful real estate agent. These tools should be learned in advance in order to build confidence in a new agent’s ability and in order to offer good customer service to a client. One of the best types of training is shadowing an experienced Realtor® on an appointment. There is no better way to learn than by doing or watching another agent in action. 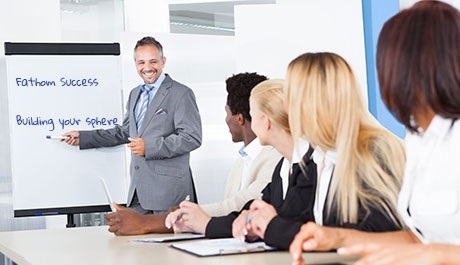 This type of training is often missing from many real estate companies’ training methods but it is a vital step that should not be overlooked. Perhaps some of the most valuable lessons a Realtor® can learn in training is how to avoid some common real estate pitfalls. When the training goes over case studies and shows examples of what works and what does not, a new real estate agent will be able to apply that knowledge to their own business and save themselves untold amounts of time and money. Licensed Realtors® are required to take continuing education classes to maintain their license. These courses are an important way for a real estate agent to differentiate themselves from others. For example, if one is interested in working with short sales, getting more training in this real estate niche will help them become more sought after in the field. Besides offering specialization in different areas of real estate, their continuing education also allows a Realtor® to deepen their general real estate knowledge and skill sets. Training for new Realtors® is vitally important if they hope to build a successful business. Agents who realize that training is the most important element to establishing their business’s foundation are those more likely to succeed. With the proper training a new Realtor® will be able to establish their business goals and know exactly what it will take to achieve them!